Bypass the academic theories. Learn how to integrate two basic machine-learning algorithms in your daily work, using programming best practices. With the increasing popularity of Alexa, Xbox Kinect, Cortana, and Siri, machine learning and AI are fast becoming required components of the software developer’s toolkit. However, machine learning isn’t a silver bullet. It requires domain knowledge and intuition to solve problems. Join Matthew Kirk for an introduction to machine-learning concepts. Instead of spending time focusing on the academic foundation of machine learning, you’ll delve into the k-Nearest Neighbors algorithm (k-NN) and naive Bayes classifiers to learn how to apply the machine-learning thought process to any programming-centric career. You’ll leave prepared to approach supervised learning problems with programming best practices and ready to implement these two algorithms in your daily work. You are a mid-level software developer who wants to become adept in machine learning. You are a data analyst with an academic background who wants to automate some of your tasks. You are a technical executive who wants to guide your organization to implementing more machine-learning projects. 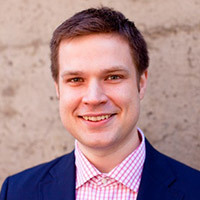 Matt Kirk is a data architect, software engineer, and entrepreneur based out of Seattle, WA. For years, he struggled to piece together his quantitative finance background with his passion for building software. Then he discovered his affinity for solving problems with data. Now, he helps multi-million dollar companies with their data projects. From diamond recommendation engines to marketing automation tools, he loves educating engineering teams about methods to start their big data projects. To learn more about how you can get started with your big data project (beyond taking this class), check out matthewkirk.com for tips. What is the difference between induction and deduction? What is the most common way to test supervised learning? What is an xample of a distance metric? What is the curse of dimensionality and how does it relate to distance? Why would you use Euclidean distance versus Manhattan distance? What is the probability of X given A? What happens if posterior distributions don’t tell us much? Why is the naive Bayes classifier called “naive”?